Corrugated is the most-recycled packaging material worldwide by retailers, businesses and consumers at home. 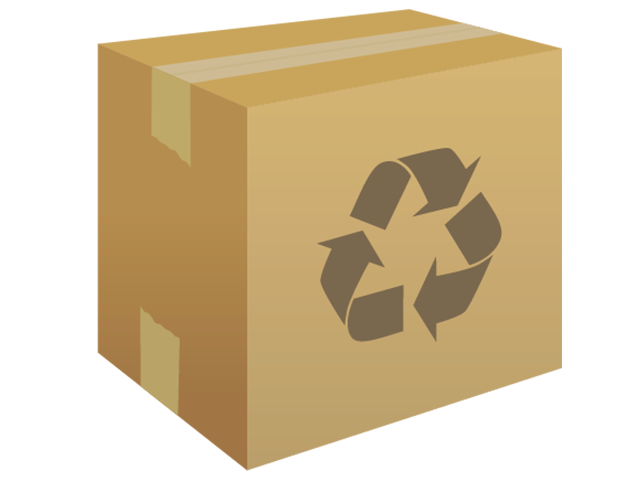 The success of recycling corrugated boxes/board goes is contributed by individuals like you and me. Although we play a huge role in the recycling processes, majority of individuals do not know where those boxes go from the collection point, or how they are processed to produce new corrugated material. Corrugated boxes are used for their intended purpose to protect and transportation various products. 3. The collected corrugated containers is then sorted, compacted and baled for space-efficient storage and handling, either at the point of end-use (store or business) or at the recycling center. 4. Bales are then transported to the paper mill. 5. Bales are broken open put into a repulper (looks like a huge blender) with water. It is agitated to form a slushy pulp of fiber and water. 6a. A big chain or rope hangs down into the the tub while the material is swirling. Some contaminants such as long pieces of rope, string or tape, plastic and metal bands will wrap around the chain/rope and can then be pulled out of the repulper. 6b. The remaining pulp slurry goes through different types of equipment such as towers where the metal falls to the bottom for removal, screens, cyclones, and the big tanks where the contaminants float to the top and can be scraped off. The cleaned pulp is then sent to the paper machine. 7. The highly diluted fiber solution is poured out onto a moving screen which allows water to drain away, forming a continuous fiber mat, which is pressed between rollers to remove more water. 8. The wet, continuous fiber web is then wound through the dryer section where the top and bottom of the web alternately contact the heated surfaces of the drying cylinders, removing the remaining moisture from the paper. 9. At the end of the paper machine, paper is rolled up on a large reel spool, which can weigh anything between 10-60 tons. 10. The reel is then split and rewound into individual rolls. The recycling process is now complete; the new paper rolls are transported to box manufacturers to begin the next stage in life to become new corrugated boxes. Contact us on +27 11 794 3310 or visit our website www.futurepack.co.za for our full extensive range and current SPECIAL OFFERS.